In the last ten years of the nineteenth century, the royal members and nobles still formed the main customers for jewelry consumption. 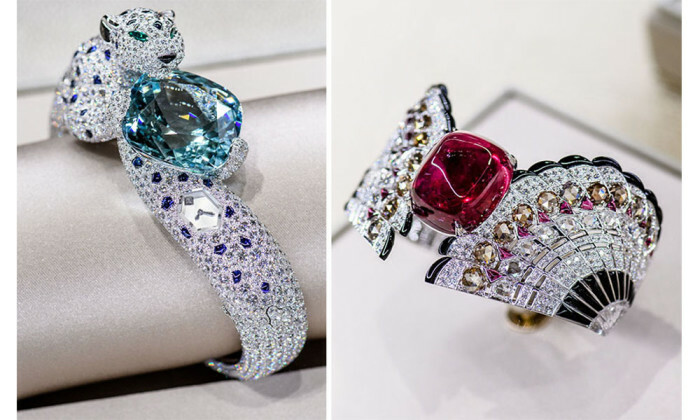 At the same time, the class, consisting of industry masters, successful businessmen, and bankers, emerged and began to come into the luxurious Cartier jewelry world. Though they were short of noble descent, this new rich class owned rapidly increasing wealth, which gave them the opportunity to live a more expensive life. They tried to present themselves with shining jewelry from Cartier, like royal family members. The wise founder, Louis Cartier, caught the opportunity tightly and moved his jewelry shop again, to the No. 13 on Street Peace, in the busy downtown at that time. This important decision in the year 1899 really started a brand new age for Cartier’s second rapid development. Thanks to the continuous pursuit for the perfect design, a new series of platinum jewelry in flower style was innovated in the Cartier world. The flower-styled crown with platinum and diamonds from Cartier, worn by Queen Elizabeth of Belgium, really left a deep impression to the world. Also there was the shining crown in flower style for Marie Bonaparte. Indeed, this innovation of base materials, replacing heavy gold or silver with lighter and harder platinum, did open a new era for not only Cartier but also the whole jewelry world. Moreover, the usage of platinum also promoted diamond mosaic technology. More important, this new material did give more creative room for the designer. The diamond inlaying in platinum base looks more brilliant, compared with all the former versions. During those years, owning the jewelry from Cartier meant a high taste and the noble status for people, especially the ones of the new rich class. Nearly all the royal brides ordered marriage rings, carved with the letter “Cartier”. Well, from the wedding banquet of Marie Bonaparte to the Cartier jewelry, like brooch and crown, owned by the Bonaparte family, you could find the brilliant flower design easily. By the way, the wonderful flower design also brought about the fame of “King of Jewelry” from Edward 8th, which made Cartier popular all over the world. By the way, the noted name gave Cartier a brilliant crown. Therefore, there are a higher platform and a wider horizon for Cartier. As a well-known international jewelry brand, Cartier has a long and distinguished history of serving royalty, as well as stars and celebrities. One Prince of Wales hailed Cartier as “Joaillier des Rois, Roi des Joailliers” (Jeweller to Kings, King of Jewellers”). Cartier has been considered as the representative of grace and elegance since it was founded. Can’t wait to find one piece of King’s jewelry for you? Just visit Cartier shops and have a look! Who is Harry Winston? What Are the Best Harry Winston Mens & Womens Luxury Watches?